The Gloom trait comes from breeding “Starter Coats” together or one starter with any other horse. It is possible to have this trait in both the hair and coat. Please note that the Gloom trait CAN be passed on. The Chill trait comes from breeding “Starter Coats” together or one starter with any other horse. It is possible to have this trait in both the hair and coat. 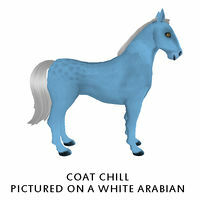 Please note that the Chill trait CAN be passed on. The Warmth trait comes from breeding “Starter Coats” together or one starter with any other horse. It is possible to have this trait in both the hair and coat. Please note that the Warmth trait CAN be passed on. 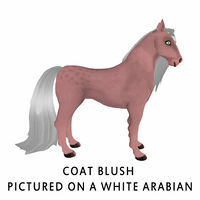 The Blush trait comes from breeding “Starter Coats” together or one starter with any other horse. It is possible to have this trait in both the hair and coat. Please note that the Blush trait CAN be passed on. The Haze trait comes from breeding “Starter Coats” together or one starter with any other horse. It is possible to have this trait in both the hair and coat. Please note that the Haze trait CAN be passed on. The Hue Teal trait comes from breeding “Starter Coats” together or one starter with any other horse. 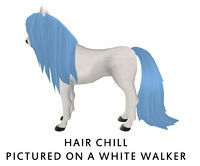 It is possible to have this trait in both the hair and coat. Please note that the Hue Teal trait CAN be passed on. The Hue Orange trait comes from breeding “Starter Coats” together or one starter with any other horse. It is possible to have this trait in both the hair and coat. Please note that the Hue Orange trait CAN be passed on. The Hue Yellow trait comes from breeding “Starter Coats” together or one starter with any other horse. It is possible to have this trait in both the hair and coat. Please note that the Hue Yellow trait CAN be passed on. The Luster trait comes from breeding “Starter Coats” together or one starter with any other horse. It is possible to have this trait in both the hair and coat. Please note that the Luster trait CAN be passed on. The Gleam trait comes from breeding “Starter Coats” together or one starter with any other horse. It is possible to have this trait in both the hair and coat. Please note that the Gleam trait CAN be passed on. The Opal trait comes from breeding “Starter Coats” together or one starter with any other horse. It is possible to have this trait in both the hair and coat. 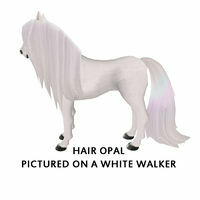 Please note that the Opal trait CAN be passed on. 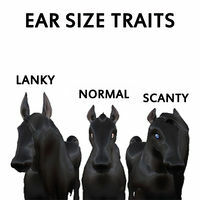 The Ear Size trait comes from breeding “Starter Coats” together or one starter with any other horse. 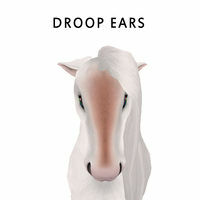 Please note that the Ear Size trait CAN be passed on. 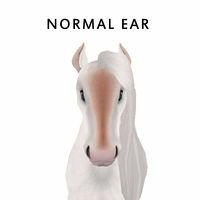 The Ear Style trait comes from breeding “Starter Coats” together or one starter with any other horse. Please note that the Ear Style trait CAN be passed on. When the Racing traits pass they can pass as the same class, one class higher, one class lower or even two classes lowers. Wild hair is a trait was introduced in the 3.5 update this trait allows you to put any mane/tail from any horse coat on another horse. If you want to see a specific wild hair please look at the Horse Coats section of the wiki and find the Wild Hair you are looking for. The Wild Hair trait DOES have the ability to pass. A Null trait is an “Invisible trait”, a placeholder. 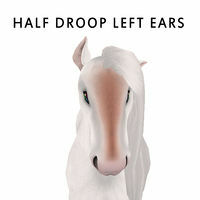 These placeholders were implemented as a way to allow the breeder to have a maximum trait horse but still look the way they want it to look. Remember not all of the nulls listed above can be on one horse, just as you can not have Coat Gloom and Coat Chill you can not have Coat Gloom Null and Coat Chill Null on the same horse. There is currently a total max of 18 nulls on one horse. 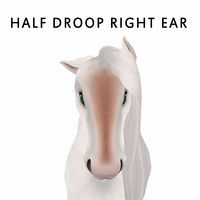 On October 7,2016 Amaretto release horse update version 5.5 and released new starters with hidden nulls, Saddle Null, Horn Null, and Ear Tip Null. This page was last edited on 18 November 2016, at 00:55.